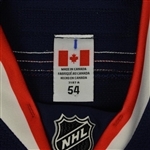 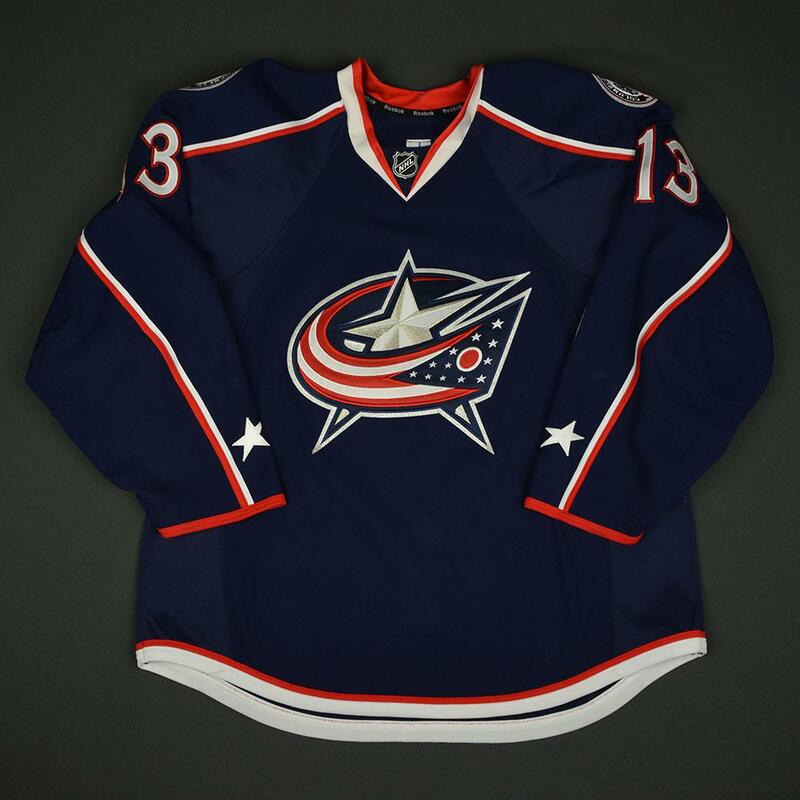 This blue jersey was worn by Cam Atkinson of the Columbus Blue Jackets during the 2016-17 NHL season. 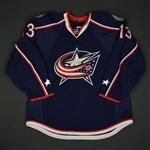 Atkinson is having a breakout season for the Blue Jackets, who are among the NHL's contenders for the Presidents' Trophy. 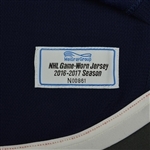 This jersey has a team repair on the left sleeve and a team patch repair on the right sleeve. 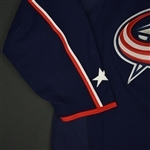 The Blue Jackets make many of their repairs by using a type of 'heat-activated tape' on the inside of the jersey to hold together rips and holes. 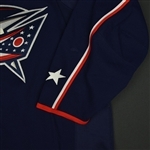 Additionally, the cuffs of each sleeve have been tightened.